Ian Morris is one of a small number of UK-qualified building surveyors in France, providing pre-purchase property surveys and advice on building problems – principally in the south west regions of Languedoc-Roussillon, Midi-Pyrénées and Aquitaine. He is bilingual (English/French), and is a fully-qualified Chartered Building Surveyor and Corporate Building Engineer (a fellow of The Royal Institution of Chartered Surveyors and a Fellow of The Association of Building Engineers). 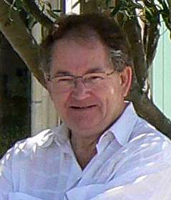 With over 40 years professional survey experience Ian has been appraising buildings in southern France for over 25 years. He understands French building construction, both old and new, and has undertaken a huge number of pre-purchase surveys in France – from village houses to chateaux, from farmhouses to hotels, and most kinds of buildings in-between: He has surveyed millions of euros worth of property in France over the years. He provides next-day reports by phone, and written reports by e-mail and by post, and always quotes fixed fees in advance, in writing, without any obligation or commitment.